The Dance Team preparing for their performance. IHA girls have been tying up their dancing shoes for IHA’s newest athletic addition, a competition dance team! The team, coached by campus minister, religion teacher, and sophomore class moderator Mrs. Shutrop, is made up of twelve girls. Don’t worry, you don’t have to travel to competitions to see these star dancers perform. The IHA dance team will also be performing at the IHA basketball games! On Tuesday and Thursday nights, the dancers will be performing their pom routine during halftime. 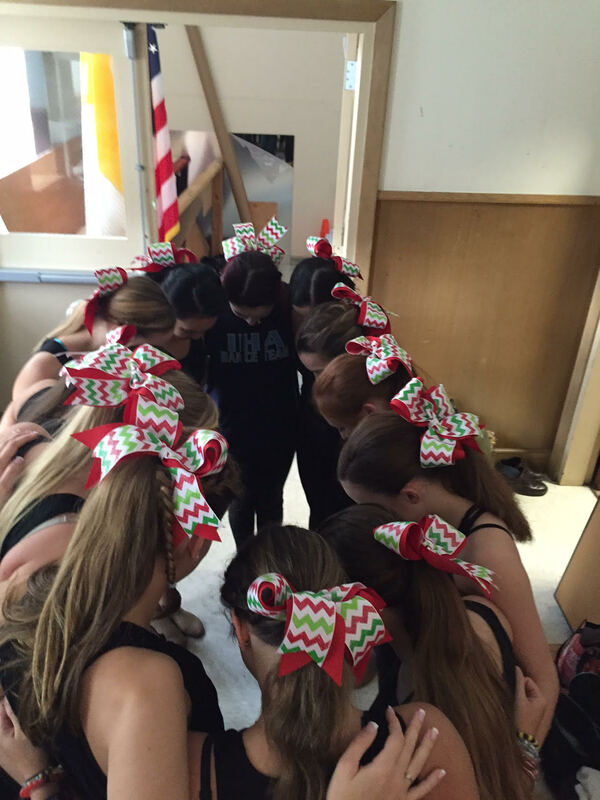 The team also performed a jazzy Christmas dance at IHA’s Christmas show that they even choreographed themselves.